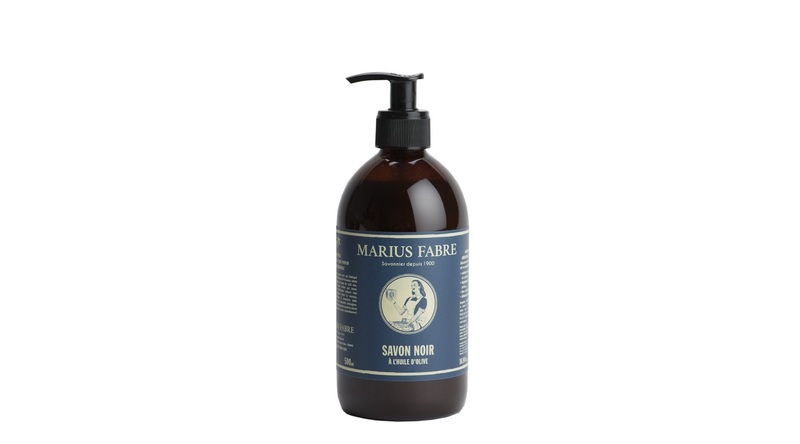 Marius Fabre has blended traditional know-how that made the brand famous for over a century now, and oriental refinement for the well-being of your body. 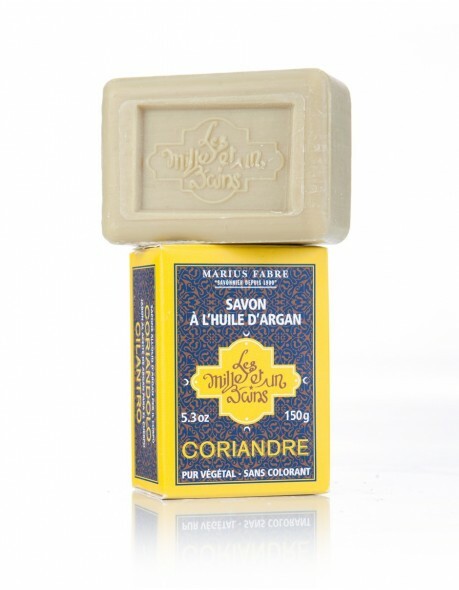 The soft olive oil “1001 bains” black soap made by Marius Fabre is a natural emollient. 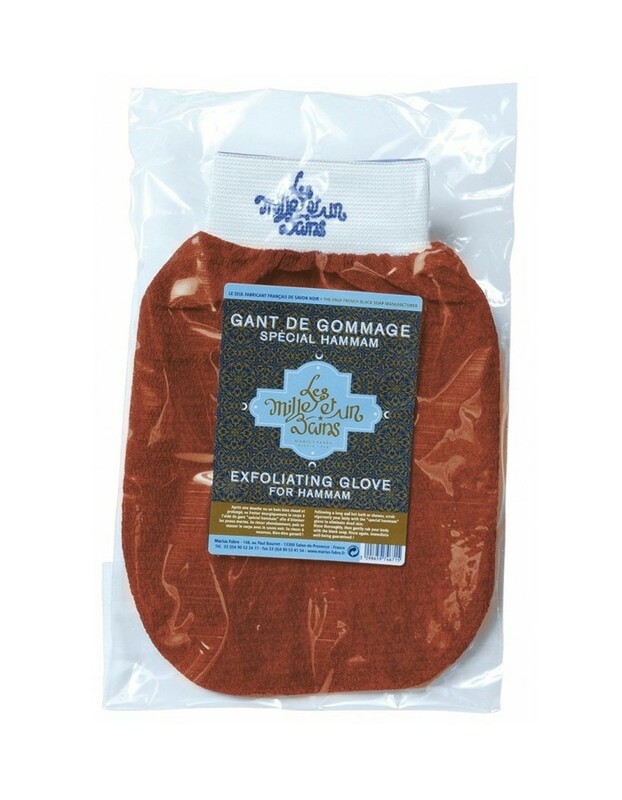 When used with the 1001 bains Exfoliating glove (see below), it gets rid of dead skin cells and refines skin texture. 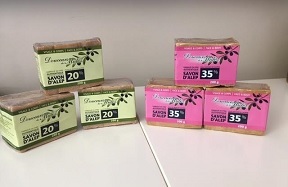 It also prolongs a sun tan. 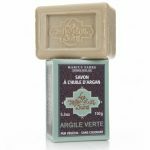 Excellent after shaving or waxing, it will leave your skin velvety soft. 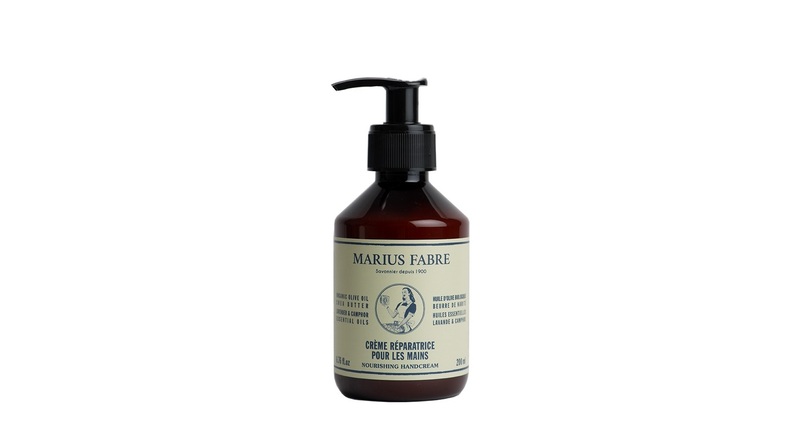 The Marius Fabre 1001 bains Dry oil is excellent for the whole body: It maintains the elasticity of the skin and prevents drying and ageing by rejuvenating the hydro-lipid film on the surface of the epidermis; it repairs, nourishes and invigorates skin, hair and nails, and last but not least, it purifies and cleanses acne-prone skins. 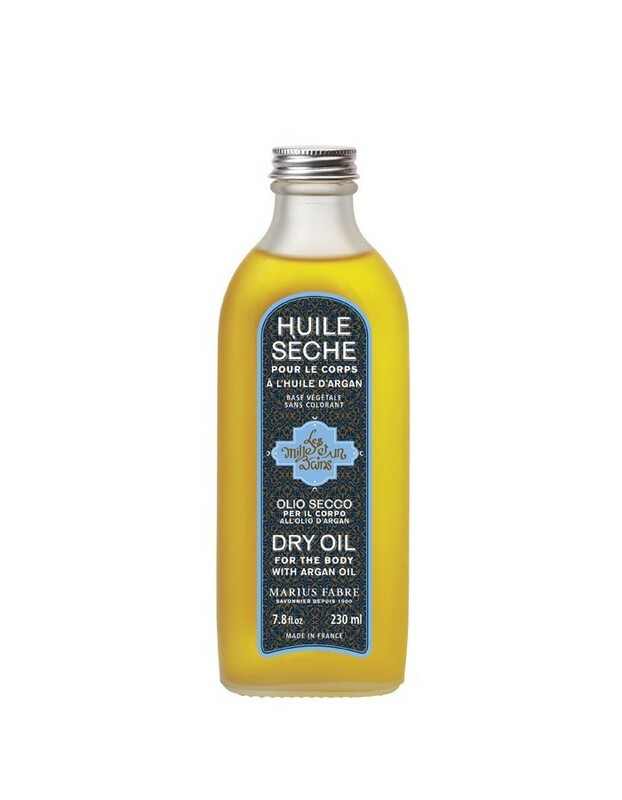 This dry oil leaves no greasy film on your skin. 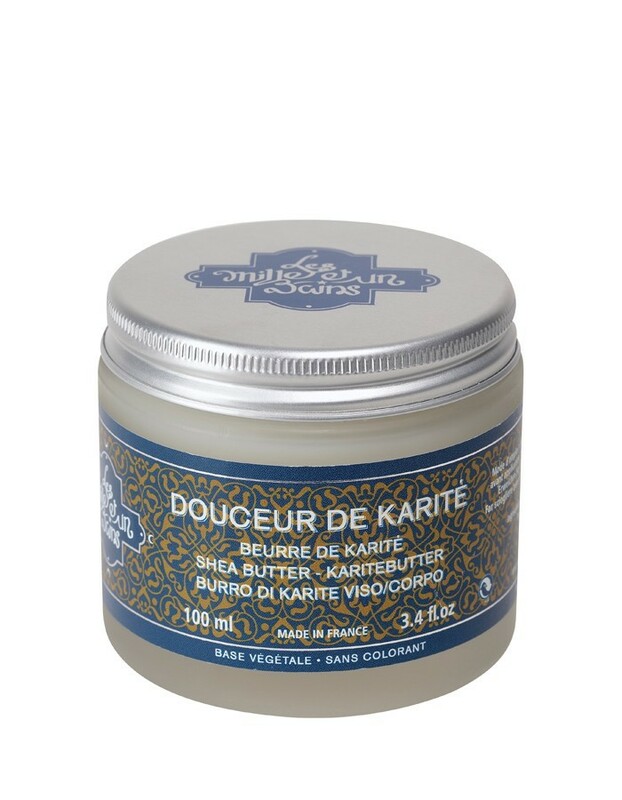 Use it daily all over your body. 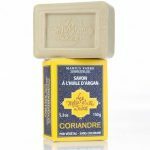 Ever since 1900, the Marius Fabre toilet soaps have been made exclusively from vegetable oils, with no added colour and no preservatives. This toilet soap made from olive oil, enriched with argan oil and shea butter, gently cleanses the skin. 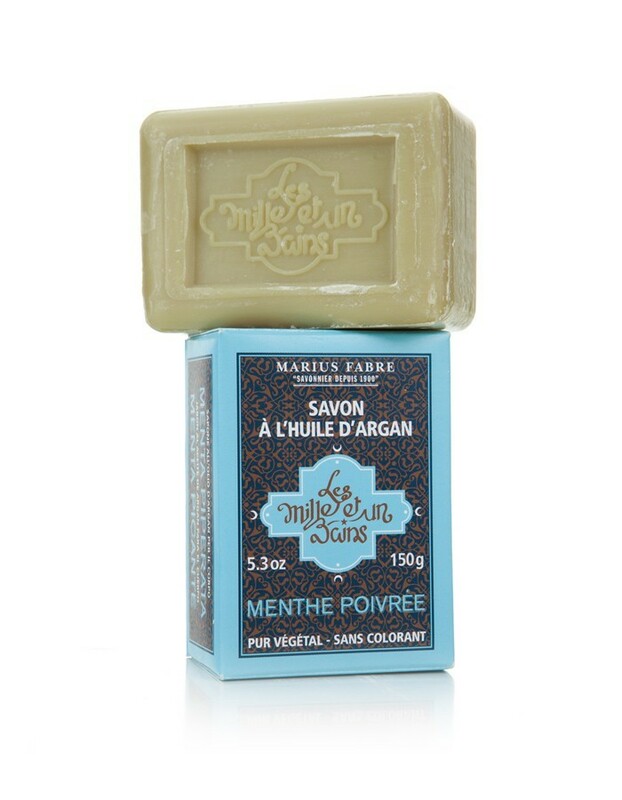 Used in the shower, it enhances your well-being with a touch of oriental delight. 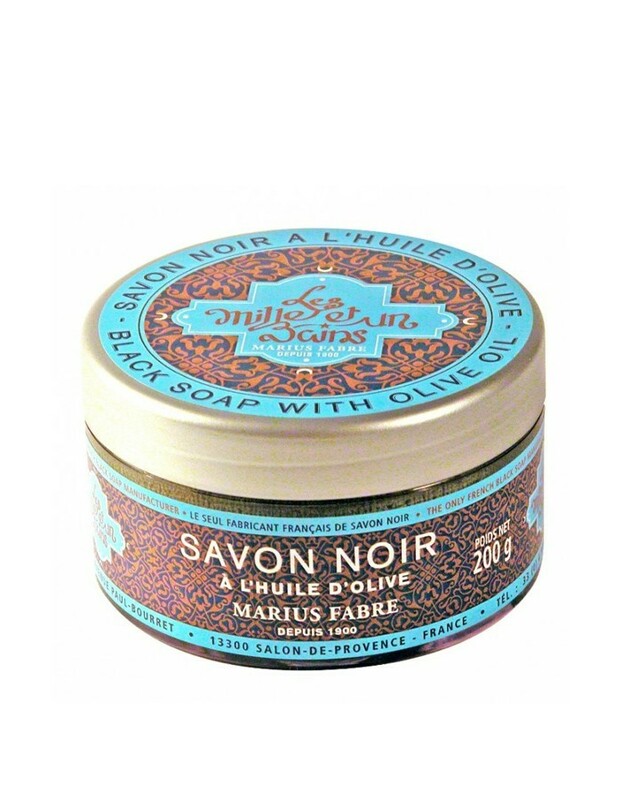 At the hammam or at home, the Hammam Exfoliating Glove used with Marius Fabre olive oil black soap 1001 bains (see above) removes dead skin, leaving your skin soft and smooth.